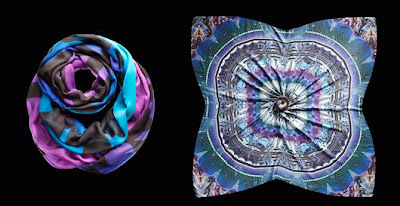 I love accessorizing in the fall, winter and spring and one of my all time favorite ways to do that is with beautiful and unique scarves. 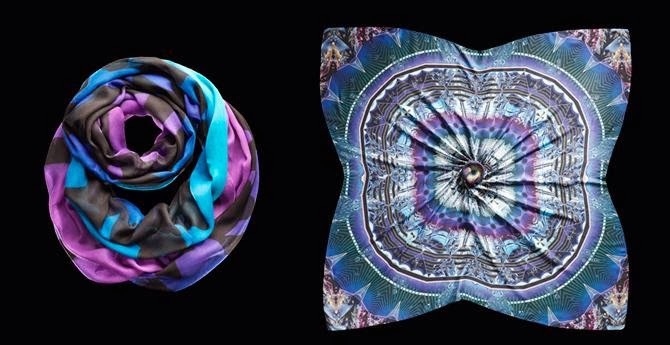 Not just any scarves, I mean something that makes a statement. I love animal print, skulls, cats, just any kind of unique design you can think of, I am all over it. This is why when I was introduced to FRAAS, I was so excited to receive a scarf from them. They have so many styles to choose from. I was really impressed with what I took out of the package. 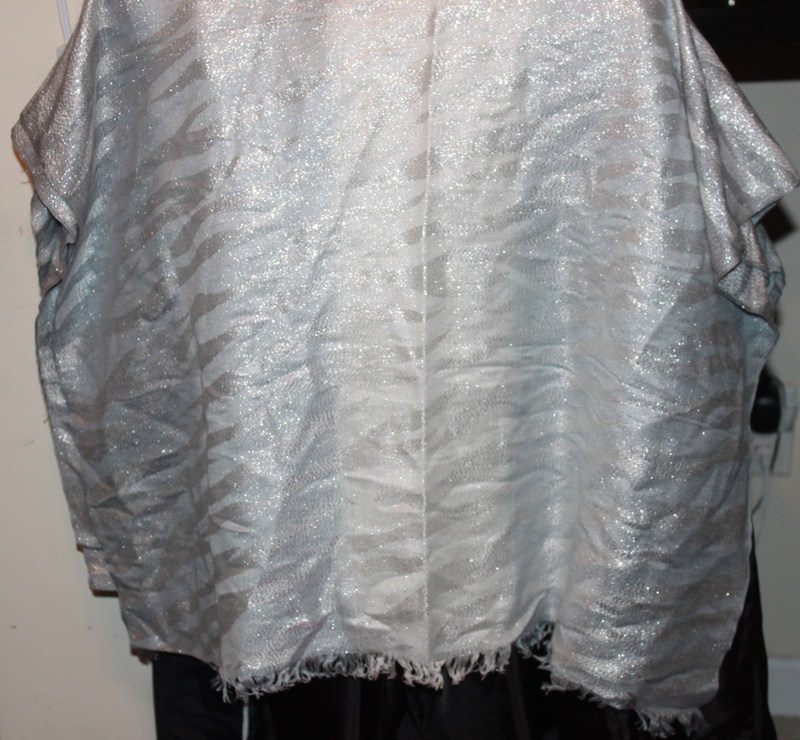 A very pretty medium silvery zebra striped type of design set on a lighter silver background, with lots of sparkle and a slight frayed edge. This scarf is so stylish and HUGE. It is 12' X 80'. I was amazed at the size. Wide and long enough that once the summer arrives, I can use it at a pretty table or lamp cover. It is a thin material, but not too thin that it won't keep you warm! The exact material fusion is made up of 55% Acyrylic, 35% Viscose and 10% Metallic, which is what gives off that gorgeous sheen and sparkle. This scarf is a special one and needs special care. That is why it can only be hand washed and hung dry. I live in Florida and it is still very much cool enough to be sporting scarves, which is a rarity over here. 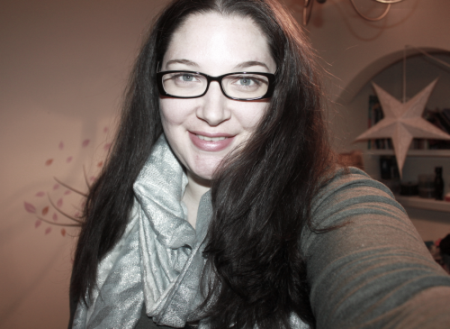 I am loving it up as long as I can with my favorite scarves like this one. This particular style comes in black, silver (what i'm wearing) and gold. They are all very pretty and this silver one goes with almost everything. It coordinates very well as a neutral color and adds sophistication with a whimsical feel. Scarves like the 360528 Metallic Zebra style are the easiest way to really spruce up and make an outfit. The scarf retails for just $35. See what I mean by bold and colorful? How gorgeous are these. I especially adore the second one with the greens and pinks. Among my favorite colors. You can purchase these from fine retailers all over the globe, on their website and some are offered on Amazon. You can also call: 212-575-0191 for more info and ordering. This post was inspired by FRAAS and I received free product for evaluation. All opinions are my own.